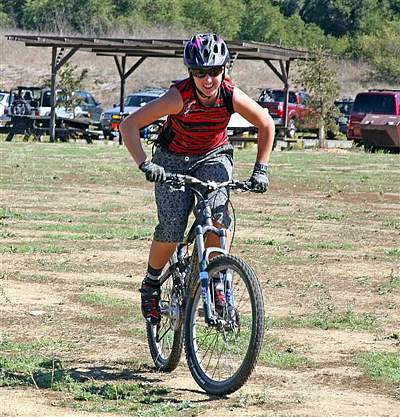 Pro racer Kathy Pruitt will be at this year's FTF! Fat Tire Fest 2007 Up-date - The Fat Tire Fest is scheduled for October 14 at Malibu Creek State Park. Pre-register by October 7 and receive 10 raffle tickets. Visit the Fat Tire Fest web page. This year's event will include a Hill Climb Contest, Wheelie Contest and demo, Poker Ride with routes for all levels of riders, and a Log-Pull contest. As always, we'll have great food, bike company exhibitors and demo bikes to check out, and our famous raffle. We've got several bikes including a Scott Voltage donated by Bike Warrior and Scott USA plus a mountain biking package for two to Whistler sponsored by Tourism Whistler! Come on out and support trail access and check our website for updated information. If you would like to volunteer or if your bike related company would like to get involved, please send an email to mtbike4@verizon.net See you there!